Securities fraud lawsuits and stock lawsuits have been filed against numerous financial firms, stockbrokers, financial advisers and companies alleging fraud or other misconduct. 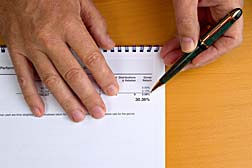 These allegations include claims that the issuers of securities have misled investors regarding the value of their investments, that stockbrokers or financial advisers acted improperly in managing clients' accounts or that companies that offer employee stock options or benefits plans failed to act in the best interests of plan participants. In some cases, investors can file securities class action lawsuits; in other cases, investors must file an arbitration if they hope to recover their losses. Stock fraud occurs when the issuer of the security makes false statements about the company's status or fails to disclose important facts that may affect stock value, causing investors to buy or sell stocks under false pretenses. Claims can be brought against the issuer of the security, i.e. the public company, the company's officers, directors or others involved in the violation, including stockbrokers, underwriter or auditors. Companies that issued Exchange Traded Funds (ETFs) face lawsuits alleging that they did not adequately disclose the risks associated with those ETFs in their prospectus and registration filings with the Securities and Exchange Commission (SEC). In June, 2009, the Financial Industry Regulatory Authority (FINRA) issued a regulatory warning regarding leveraged and inverse ETFs, noting that the ETFs are typically not suitable for retail investors who planned to hold them for more than one trading session. Investors who put their money in Auction Rate Securities (ARS) have filed lawsuits alleging that they were told the securities were a safe, liquid investment. However, when the ARS market was frozen, many investors found they could not sell their Auction Rate Securities. Some companies have settled claims with clients and agreed to purchase back the Auction Rate Securities. There are a number of ways a Stockbroker or Financial Advisor can break laws surrounding investment practices. Stockbroker fraud or negligence can include misrepresenting stocks or the risks associated with those investments, recommending unsuitable stocks, charging excessive transaction fees or failing to diversify an investor's portfolio. 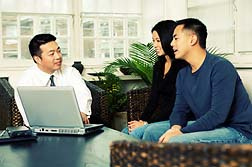 It is a stockbroker's responsibility to consider his client's best interest in all investment transactions. Clients who believe their stockbroker has acted improperly may be able to file an arbitration against the broker and, possibly, the financial firm the broker works for. ERISA (Employee Retirement Income Security Act) regulates employee benefit and pension plans, both of which can be tied into stock options. Employees and retired employees can file a lawsuit against a company and/or its officers for breaching fiduciary responsibilities and putting stock options and pension plans at risk. Issues involved in ERISA include wrongfully canceling or breaching employee stock options, denying an employee rights granted by a Stock Option Agreement, misrepresenting the value of the stock, failing to act in the best interests of stock option plans, failing to act prudently in conducting and managing investments or lying about the number of options employees will be given. Furthermore, it is a violation of ERISA for an employer to take deductions from an employee's paycheck for benefits but then not make those payments into the benefits plan. Under ERISA, it is illegal for an employer to "discharge, fine, suspend, expel, discipline, or discriminate against a participant or beneficiary for exercising any right to which he is entitled under the provisions of an employee benefit plan…" Claims have been made alleging that employees were terminated or discriminated against when the employer suspected that the employee was about to make a claim under a benefits plan. In such situations, the employee must prove that the action taken against him was done so primarily to prevent him from accessing benefits and not that the loss of benefits was simply a consequence of the action taken. Companies that have had ERISA complaints filed against them include YRC Worldwide Inc (concerning the Yellow Freight Pension Plan), Motorola and Sterling Financial Corporation. ERISA Lawsuit Claims Fidelity Investments Took Secret Kickbacks Boston, MA On February 21, 2019, Andre W. Wong, a participant in T-Mobile USA Inc.'s 401(k) plan, filed a class action ERISA lawsuit in Massachusetts District Court. 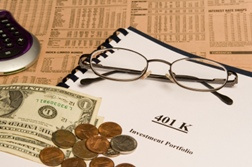 The lawsuit may ultimately affect nearly every 401k plan participant in every plan that has offered investment options managed by Fidelity Investments since 2017. Wong v. FMR LLC lays out a complicated pay-to-play scheme (disarmingly and perhaps deceptively described in internal documents as “supermarket fees”). Th..
SEI Investments Company Accused of Self-Dealing in 401(k) Mismanagement Lawsuit Philadelphia, PA On September 28, 2018, Gordon Stevens filed a class action ERISA lawsuit claiming that his employer, SEI Investments Company, forced him and other SEI 401(k) plan participants into retirement investments that made money for the company, regardless of the employees’ own best interests. .. If you or a loved one has suffered losses from securities fraud, please click the link below to send your complaint to a lawyer to evaluate your claim at no cost or obligation.